Are you wondering if Shakeology is worth it? With so many healthy shakes available, choosing the right one for you can be a challenge. I’ve been drinking Shakeology since 2009. I know, that’s a long time! I’ve tried lots of other healthy meal replacement shakes and found Shakeology to be the best fit for me. People use Shakeology for different reasons. Some want to lose weight, while others are just busy and need a quick way to get healthy nutrients into their body. Then there’s all the reasons in-between on why people drink Shakeology. As for me, I didn’t need to lose weight. I had a very busy life and my energy levels would start decreasing in the afternoons. You know, that tired feeling where you can just fall asleep wherever you are? I started drinking Shakeology, but only after I carefully reviewed the ingredients to make sure it was truly healthy. I was tired of supposed health shakes that made claims but didn’t live up to their hype. Shakeology was the best shake for me! My energy levels improved which helped my afternoons to be a more pleasant experience. Shakeology was worth it for me for so many reasons. I already mentioned the increase in my energy levels. That alone, was fantastic! Another little know secret about me. I love my carbs. I am not a big sugar eater, but I love things like crackers, chips and pretzels. In fact, I crave those foods! After I started drinking Shakeology, my cravings were significantly decreased for those foods. I love that I can drink a healthy shake and feel so satisfied! So … Shakeology is definitely worth it for me! I get a lot of questions about when to drink Shakeology. Certainly that will differ for each person. I love to drink Shakeology in the early afternoon. That is what works for me. Other people I know love to drink Shakeology in the morning as part of their breakfast, while others might use it as a post-workout drink. There is no right answer as to the best time to drink Shakeology. The best time is whatever works for you in your life. What is Shakeology made of? I am a label reader! When in the grocery store, I read labels and if the ingredients are questionable, I don’t buy it! What I love about Shakeology is that the ingredients are very natural and close to their whole-food state. This helps to maximize the amount of nutrition you get in each serving. Shakeology is made from globally sourced ingredients included a variety of superfoods, proteins, phytonutrients, antioxidants, and much more! 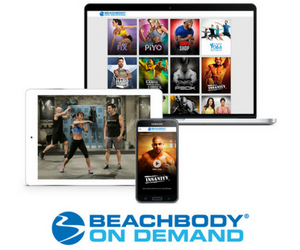 Beachbody is very particular about where they source the ingredients for Shakeology and are firm believers in sustainable farming and fair trade. I like that a lot! Plus they do not use artificial sweeteners in Shakeology! I can’t tell you how many times I’ve seen other “healthy” shakes that contain awful tasting artificial sweeteners. Overall, I am really happy with what’s in Shakeology! 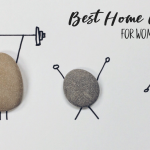 It’s a wonderful way to get back on track with your healthy lifestyle. I learned a long time ago that the majority of foods these days are processed. People tend to go for foods that fast and easy. That results in packaged or fast food. These type of foods have little to no nutrition. 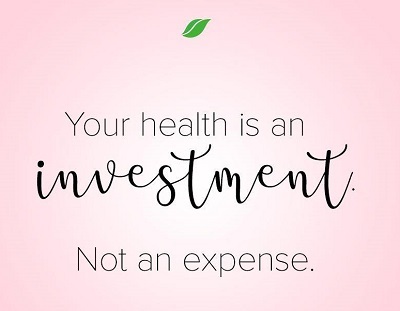 With that in mind, what type of fuel is your body running on? With so many nutritious ingredients, Shakeology is quite the opposite. It’s filled with nutrition that is actually good for your body. Whether you start drinking Shakeology or just change to a healthy diet, you’ll feel a difference and it’s wonderful! I love feeling energized and great! If you are exercising on a regular basis, Shakeology can give you the extra oomph to push through. 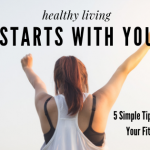 I found that it really helped me to maximize my fitness goals. If you are an older person, Shakeology can help support healthy energy levels. 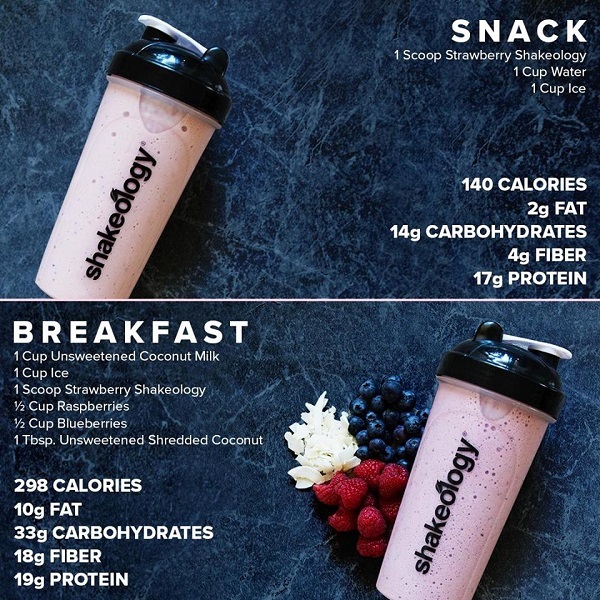 If you have a hectic lifestyle (as so many of us do), Shakeology is a convenient way to get the healthy nutrition your body needs to keep up with daily life. If you hate eating fruits and veggies, Shakelology is an easy way to drink those nutrients. Do you skip breakfast? It’s the most important meal of the day. You can drink Shakeology in place of breakfast and enjoy all the benefit. Plus it’s fast and easy. I love that Shakeology is super easy to prepare and gives me a ton of nutrition in a single serving. What could be better? Which Shakeology Flavor Tastes the Best? The best way to find out which Shakeology flavor is best for you is to start with the sample pack. You’ll get 5 flavors. 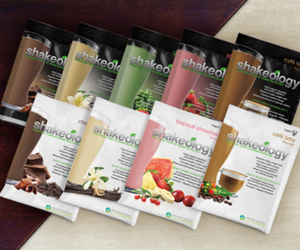 Learn more about the Shakeology sample pack. You can also go for the Shakeology Vegan sample pack and get all 4 vegan flavors. Learn more about the Shakeology Vegan sample pack. Either way, the sample packs are a great way to find the best flavor for you before committing to a month supply. Need More Reasons to Drink Shakeology? You’ve read about why Shakeology is worth drinking but maybe you need a few more reasons why this nutritional shake is so good for you. Here’s one big lesson I learned in life. When I feel good, I can take on the challenges that life throws at me! When I feel crappy, it’s difficult to face any challenge. 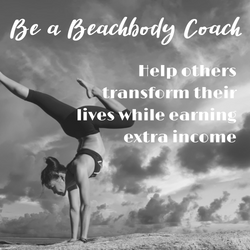 With that in mind, if feeling good is a priority, read my top reasons why drinking Shakeology can help you achieve that! Cravings get me every time! Most of the time I eat healthy but put a bag of chips in front of me and they will disappear into my belly. Losing weight is a challenge with those type of habits. And if you want to lose weight, it’s difficult when those cravings hit. Shakeology has been so helpful in keeping me on track! You can be satisfied with Shakeology which helps reduce those cravings or the desire to eat more, even if it’s healthy. When we give into to eating snacks or sweets, those calories are high but have low nutrition. Shakeology replaces that with low calories, higher nutrition and a satisfied feeling! 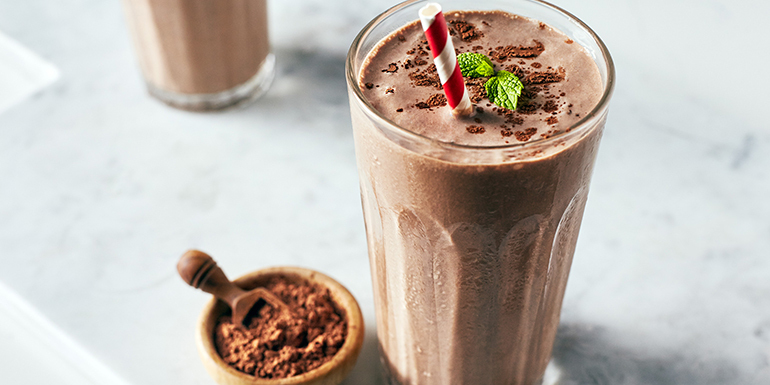 The next time you feel like munching, grab a Shakeology instead! You’ve probably tried lots of protein shakes. While Shakeology contains a good amount of protein, it is so much more! It has so many fruit and vegetable ingredients which are fantastic if you aren’t eating enough of those. In addition, it contains a super-green, phytonutrient blend that you’ll love. You’ll get nutrients that go far beyond just the protein you get in other shakes. That’s one of the things I love about Shakeology – all the stuff that it provides. And the proof is that I’ve felt better since I started drinking it! Life just gets busy and hectic sometimes. When I feel that blood sugar getting low, I need something quick. In the past I’ve grabbed something fast that wasn’t quite the best. I would get even more tired afterwards due to the low nutrition of the junk I consumed. With Shakeology, it’s takes less than 5 minutes to whip up a healthy shake with water and tide me over until I can eat a whole meal. I hope you got some value from reading about why Shakeology is worth drinking. I love it and it’s helped me in so many ways. 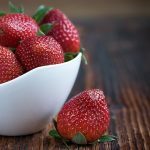 It’s an easy nutrient dense drink that you can add to your daily life to help with you with a healthy lifestyle. 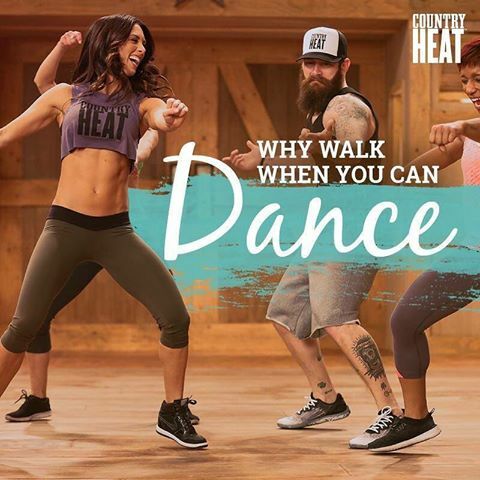 Learn more about Shakeology and all the awesome recipes!